Hayle based company Marine-i has further boosted marine innovation in Cornwall by awarding a grant to specialist marine technology company, Submarine Technology Ltl (STL). STL, originally from the Isle Of Wight, has built a new office in Penryn. The grant is to focus on designing and building a futuristic robotic arm. The arm will be a ship-based robotic arm for autonomous operations. Marine-i is a £9.3m collaboration between the Universities of Exeter and Plymouth, The Cornwall College Group, Cornwall Marine Network and the Cornwall Development Company. Cornwall Development Company, Marine Hub Operations Director, Matt Hodson, said: “We are helping to grow companies that need a technically competent and skilled workforce and that itself provides a lot of opportunities for graduates out of all the universities. 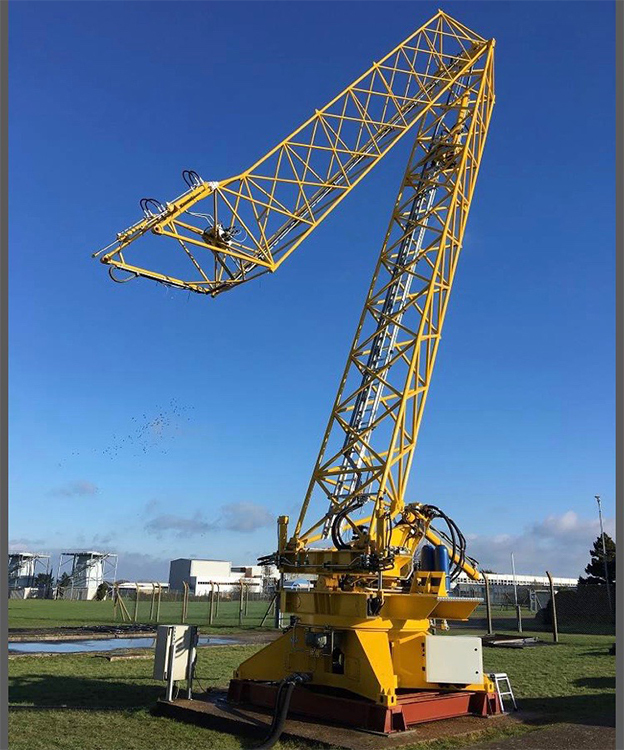 It is hoped that the robotic arm will play an important part in inspection, servicing and repair of offshore wind farms and other renewable energy technologies. The project that has been awarded the grant by Marine-i. Picture by Submarine Ltd.
Marine-i partner, the Offshore Renewable Energy Catapult. Their Sector Lead on Wave and Tidal Energy, Simon Cheeseman, said: “This is a superb opportunity for Cornwall to be at the forefront of an important new field in marine technology. This technology has the potential to reach a massive worldwide market. Marine-i has received £6,851,462 of funding from the England European Regional Development Fund as part of the European Structural and Investment Funds Growth Programme 2014-2020. The European Regional Development Fund helps local areas stimulate their economic development by investing in projects which will support innovation, businesses and increase employment.